It is indicated for the treatment and prophylaxis of Iron, Folic Acid, Vitamin B-Complex, Vitamin C and Zinc deficiency especially during pregnancy and lactation. It is also indicated for the geriatric patients with generalized weakness due to vitamins and minerals deficiency. Adult: One Capsule daily before food or as directed by the physician. 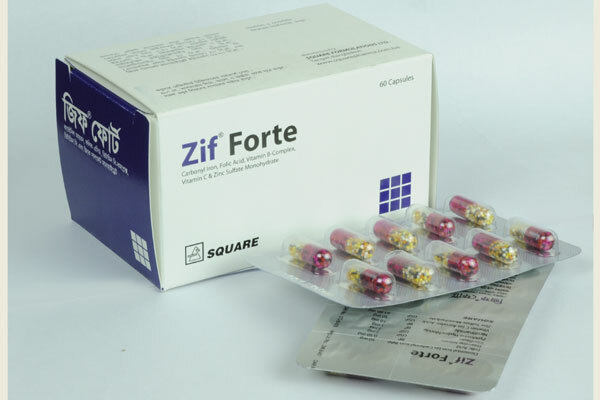 Zif® Forte Capsule: Box containing 6 X 10 Capsules in blister pack.